Most of the time the focus at Foodie Underground is on food. But it’s always smart to branch out, so when the at-home urban compost had gotten a little out of control, it was time to put it to good use, and what better way than in some seeds bombs? The seed bomb concept is simple: bring a little more greenery to the world. A tool often used by the guerilla gardening movement (and originally an ancient Japanese agriculture technique), these are friendly bombs, meant to develop more green spaces in the places that need it most, be it an abandoned plot or a forlorn looking patch of grass. 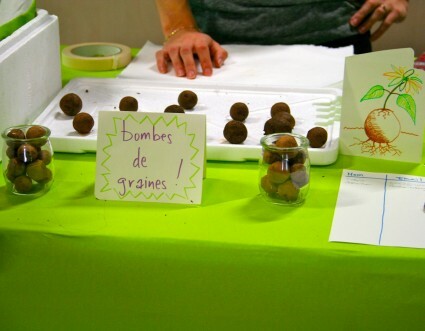 Along with Paris Paysanne, we did a little seed bomb tutorial at the recent Paris Vegan Day. Because who doesn’t like getting their hands dirty and bringing a little more green wildlife to the urban space? We had participants making seed bombs all day long, plotting where they would toss them come springtime (as the seed bombs were filled with wildflower seeds) and smiling at the simple gesture of encouraging more plant growth around the city. Compost – homegrown if you can get it! 1. 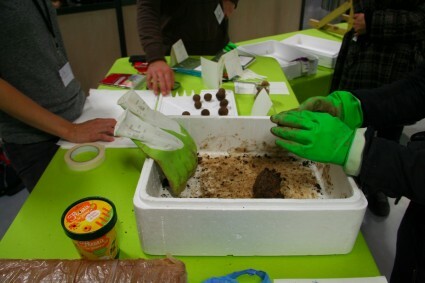 In a large bowl combine the compost and seeds and mix together with your hands. Wear gloves if you’re afraid of dirt. Although if you’re afraid of dirt, maybe consider some dirt therapy. 2. Add in the clay and mix together until everything is well blended. The mixture should be moist and easy to form into balls. If it feels a little dry, add in a little water to get it to form better. 3. 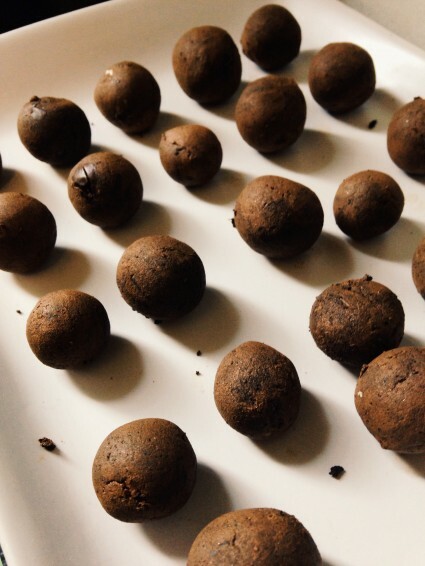 Form into truffle-sized balls (no, don’t eat them). 4. Set them out in a well-lit, sunny place for about 24 hours. They’re ready when they are hard and dry. 5. 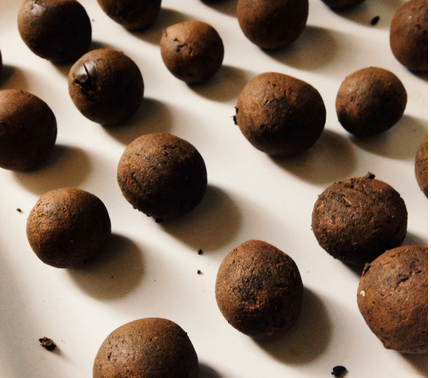 Throw your seed bombs into any abandoned, urban spaces that are in need of some greenery! Oh, you wanted the tutorial in French? Click here for a printable PDF.